In this episode of the profit, Marcus Lemonis visits SJC Custom Drums. SJC Custom Drums is located at Worcester Street, Southbridge, Massachusetts. Brothers, Mike and Scott J. Ciprari started assembling drums when they were just teenagers. Mike was 13 and Scott was 14. The company’s name was followed after Scott’s name. It was the older Ciprari that was the hands-on builder, while Mike was fascinated with the aesthetic part of the drums. At an early age, Mike worked at Dunkin Donuts and later at his dad’s car dealership to save funds and start investing in their new passion. The family’s basement used to be filled with boxes containing drum parts, and their grandmother’s basement used to be their assembly area. As they started to get better at drum building, they thought it was the right time to get some of their friends to use their drums and began spreading the news. Few of the first endorsements from the brothers were given to Strike Anywhere and A Wilhelm Scream bands. It was like a gamble for the Ciprari brothers to see if how things work for them. They experienced loses at the beginning, but they manage to keep moving. But after years of SJC’s business operations, problems got bigger and more complicated, just like the brother’s relationship. They had a bad inventory system, their debts mounting, and no money in their account. One of the customers’ common complaints was the delayed delivery of their orders. Customers had to wait months and months to get their orders. Mike admitted that when his brother Scott left the company, things became harder. Ciprari brothers are not on good terms with each other. Chris’ abilities are not fully taken advantage of. The business has a low profit margin. Slow production that causes delayed delivery of orders. Since Marcus sees a lot of orders for the drums in SJC, he was not worried about the sales. He offered $400,000 deal for 33% ownership. $300,000 will cover for all liabilities, while the remaining $100,000 will be working capital. At first, Mike hesitated but eventually agrees to the deal and proposed to make Chris a business partner. Marcus signed the check and they closed the deal. He is 100% in control of the business for as long as it takes to get things back up. Marcus provided the working capital. Place $100,000 into the business account. Patching up the brothers’ differences. Having the process in place. Make a higher profit margin. For the SJC to soar high again, Marcus implemented the proper production and proper marketing systems. He introduced the creation of the Good-Better-Best business plan. He made sure that there is a specific drum kit for beginners, intermediate and professionals with a suitable price tag. He simplified the process and asked Scott for his suggestions. Scott provided reliable and effective production methods to speed up and simplify the work of the employees. Marcus also asked Chris and other employees to discuss how they can reduce the production cost to meet their expected 40% profit margin. They were able to point out the changes needed. 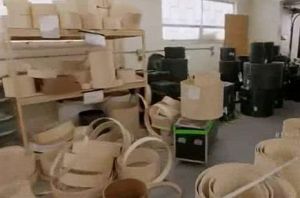 The new innovative ways of creating drums make the production time for the finished product 10 days instead of months. Marcus brought Mike to showcase his products on US’ largest musical instrument retailers, Sam Ash. This is where Marcus witnessed Mike’s brilliance as a salesperson. He made a mark when he said that SJC could compete with other major international brands because it’s made in the USA. He highlighted the quality of his drums at a very competitive price. In the end, all the problems were properly addressed. The production cost has been lowered and the company is more efficient in fulfilling the customers’ orders. The Ciprari brothers have mended their relationship. They now work side-by-side to grow the company they both started a few years back. 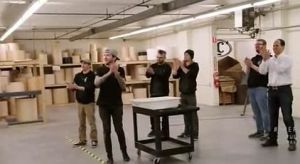 The custom drums company has closed a deal with Sam Ash. Marcus is in the process of finalizing a licensing deal with the School of Rock. Hopefully, the students will represent the entry-level drum kit and the proceeds will be used for scholarships. This will allow more kids to learn and have fun with music. According to Marcus, if your business is healthy and you have a solid relationship with people; you will surely earn the profit. We wish the company all the best. 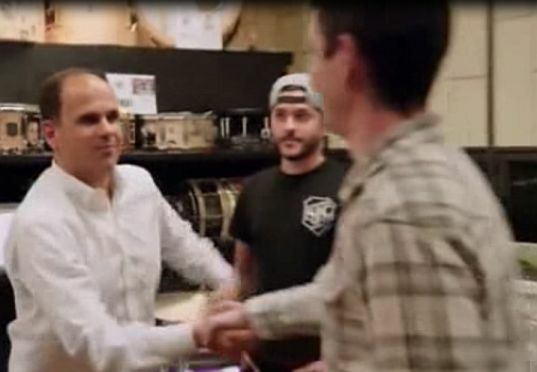 I was glad to see Mike agreed to bring back his brother Scott because he was the brains behind the manufacturing of drum kits. I can’t believe before Marcus came in that Mike nor Chris couldn’t identify SJCs work area was unorganized and only created problems with identifying inventory. The other issue Marcus identified was a need for a beginner drum set at a beginner’s price point. Chris was definitely the numbers guy for SJC. They now seem to be set up for success.